What happens to fountains when the winter months deprive them of water? Do they fill with beams of light, in the hope that a school of flying fish might land there, attracted by the light? 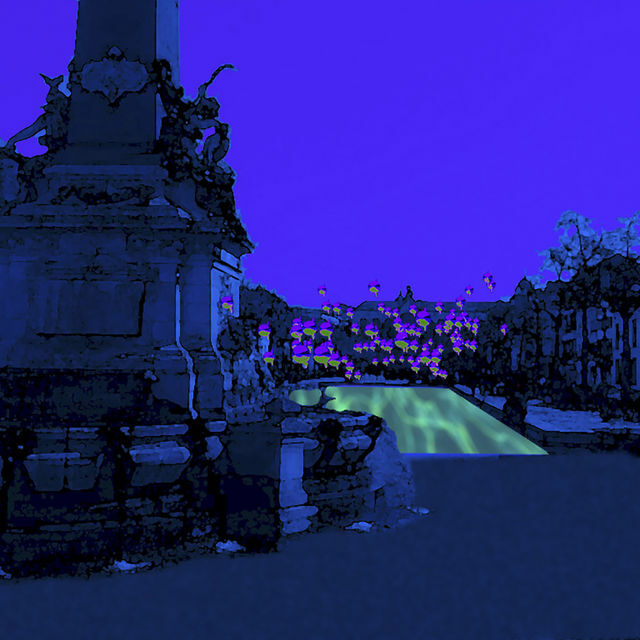 This is the story that light installation Lumière d’Eau tells observers, with the help of its moving light that spreads over the surface of the fountain and invisibly captures hundreds of fish. The fish, lighter than air, are decorated by the colours of the imaginary water and thousands of glistening reflections. This installation is the creation of plastic artist Jean-Pierre David and was installed by Aérosculpture (with assistance from Sésame Associés).